Amplifier Awards 2019 - Scroll down to register! 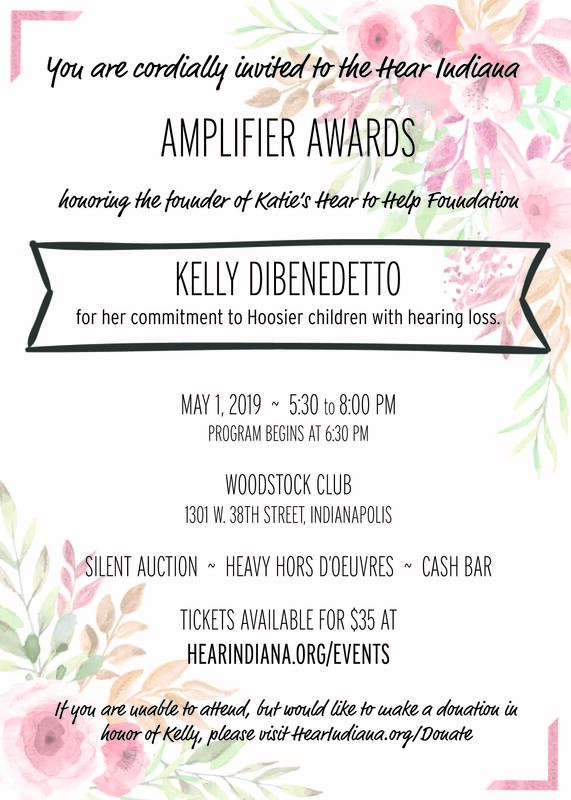 This year, we will be honoring Kelly DiBenedetto, founder of Katie's Hear to Help, for her commitment to "amplifying" our message: that children with hearing loss deserve every opportunity to thrive! AUCTION INFO: Please check back on April 26th at 3:00pm for pre-bidding opportunities on select auction items! If you'd like to honor Kelly by sponsoring this event, click here to download the sponsor benefits handout. Then, click here to pledge your sponsorship online. Thank you!